This is probably more of an item for the specialist collector. 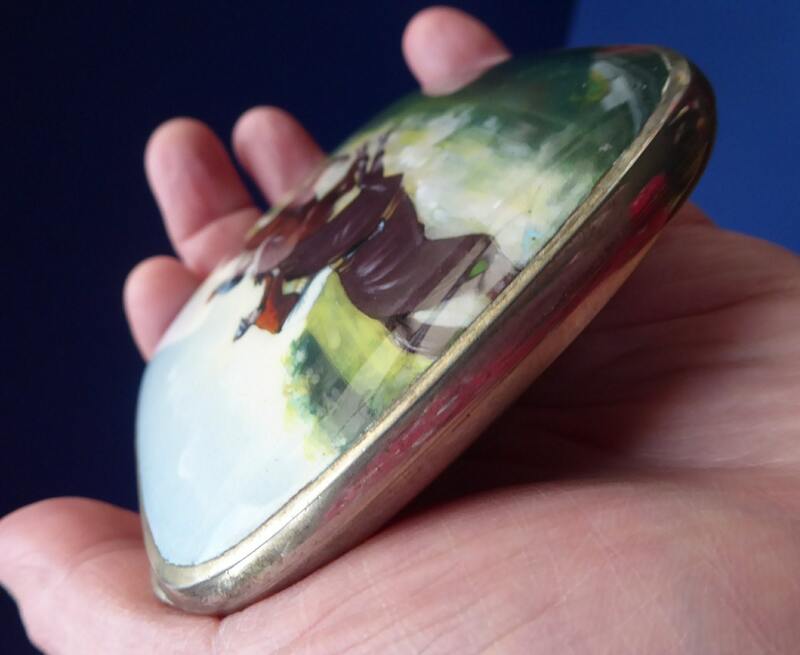 It is a finely painted continental "Alpaca" or "German Silver" (?electro-plated) cigarette case, possibly Viennese, and dating to the early 20th century. 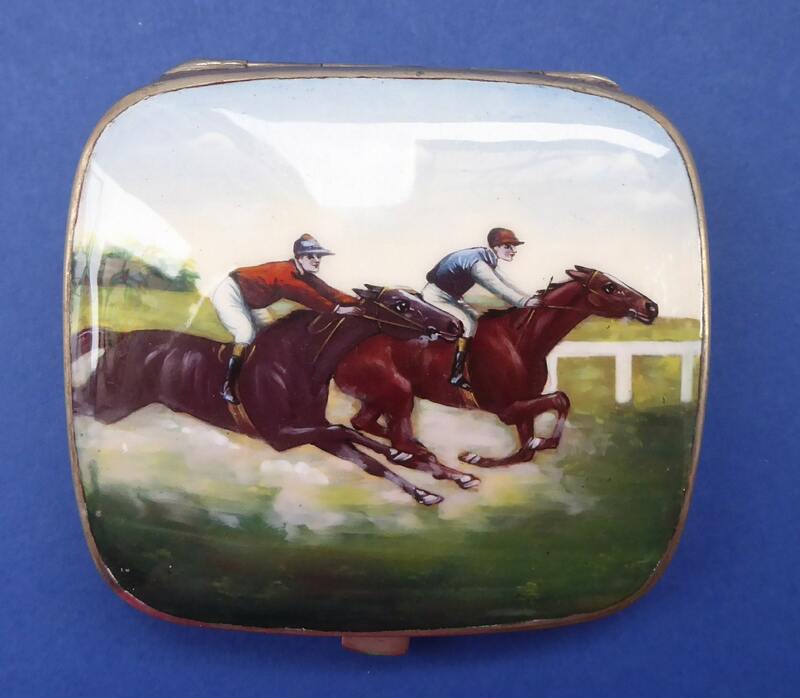 It certainly could be considered a miniature work of art - decorated with a beautiful hand-painted enamel horse racing scene on the lid. Two jockeys are shown racing to the finishing post. Marked on the thumbpiece: ALPACCA. Dimensions: just over 3 1/2 by 3 1/8 inches - so a nice larger size. 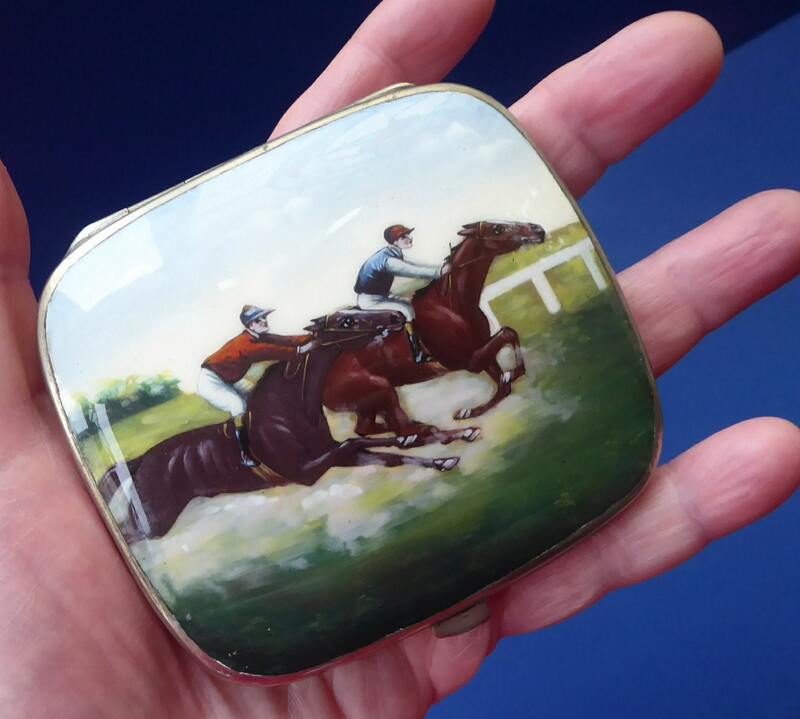 It is in excellent condition with no issues and no scratching to the enamel. 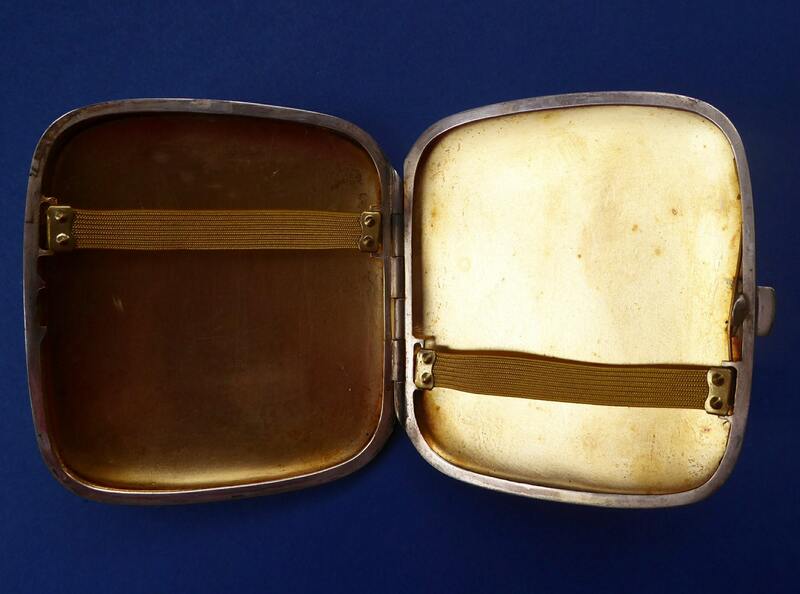 Lovely condtion inside - with a fine gilt finish - and it retains its original yellow elastic bands. The hinge is a lovely spring loaded one - which opens and closes readily. More photographs can be provided on request for seriously interested persons. 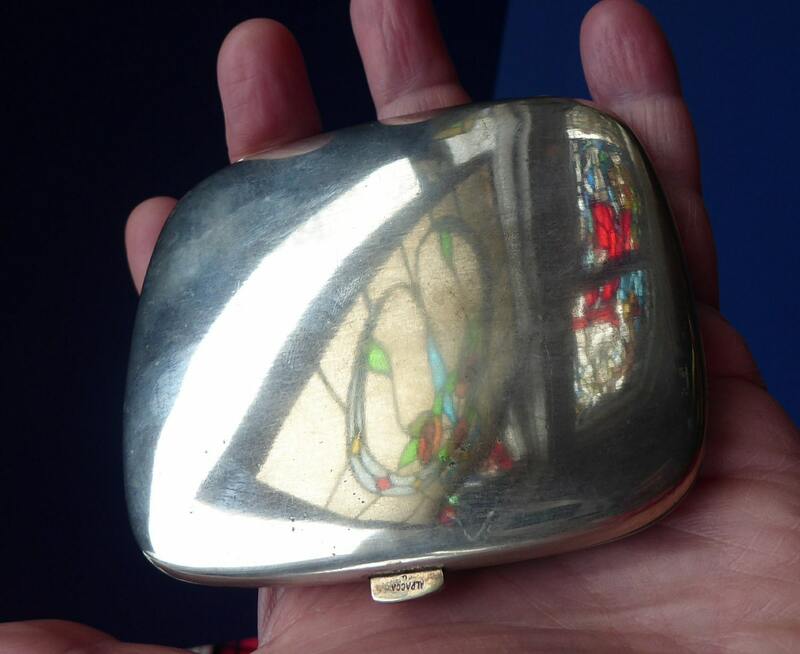 A similar case sold at Tennant's Auctioneers on 10/04/2008 for £800. Postage quoted here is for UK Special Next Day Delivery with the Royal Mail.